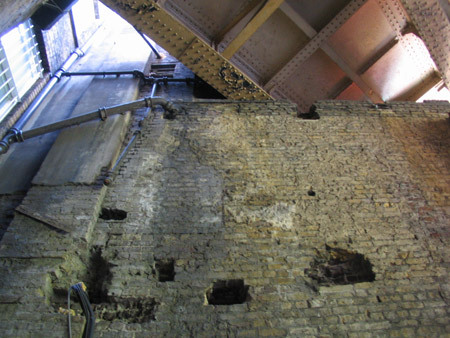 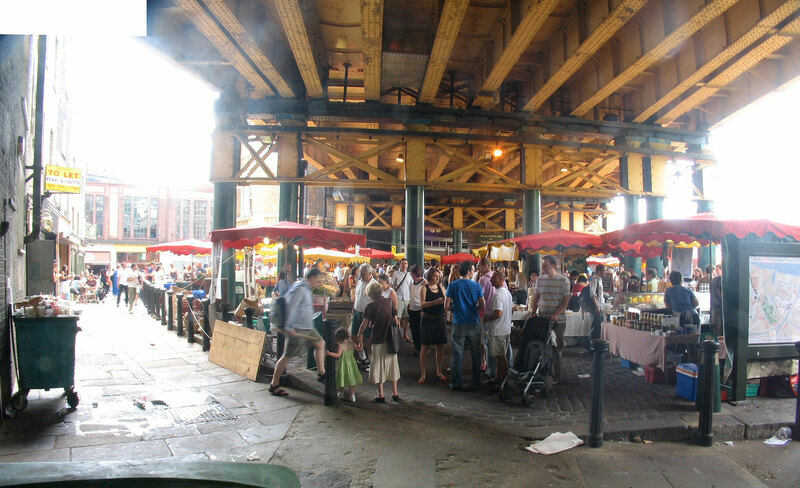 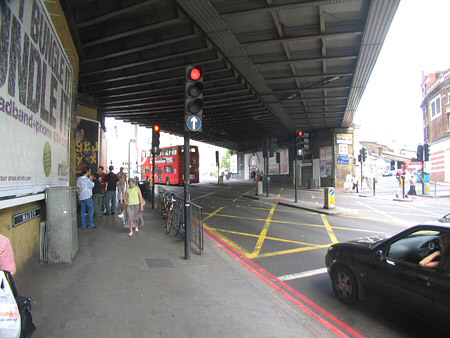 Borough High Street - under the London Bridge station rail tracks. 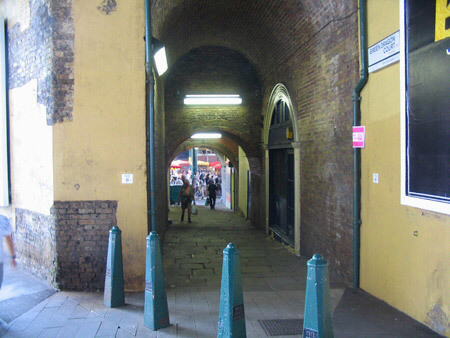 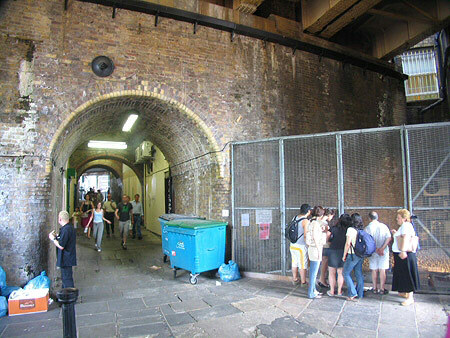 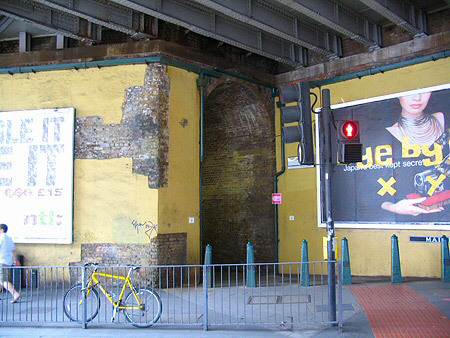 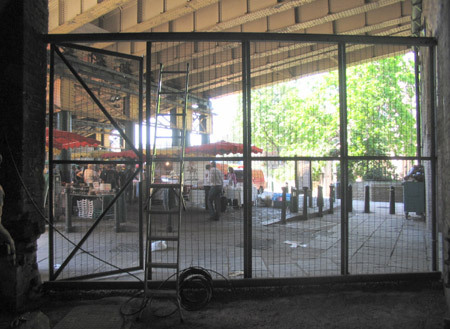 On the left, past the big ad, is a tunnel into the market: first "Green Dragon Court" market then "Borough Market". 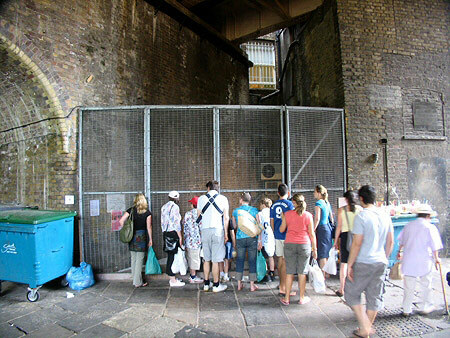 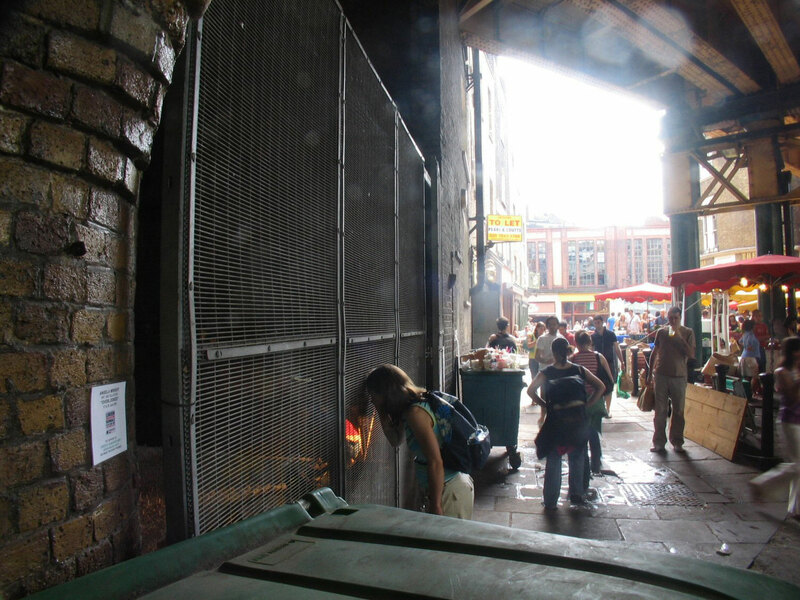 Borough High Street - entrance of the tunnel under the London Bridge station rail tracks, into the Green Dragon Court market. 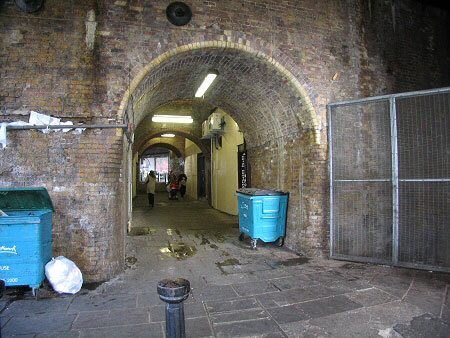 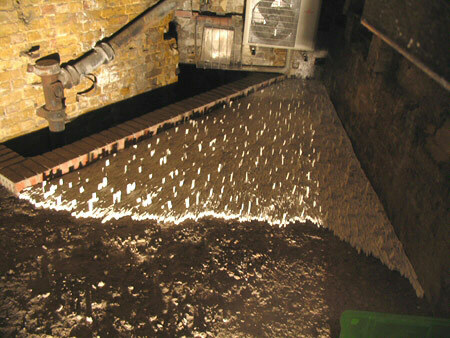 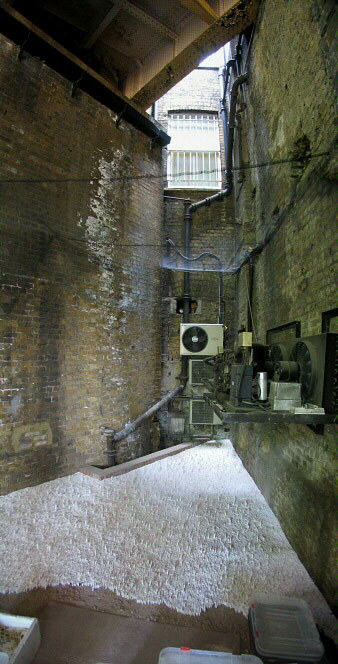 Borough High Street - under the London Bridge station rail tracks - the Green Dragon Court tunnel. The tunnel from Green Dragon Court. 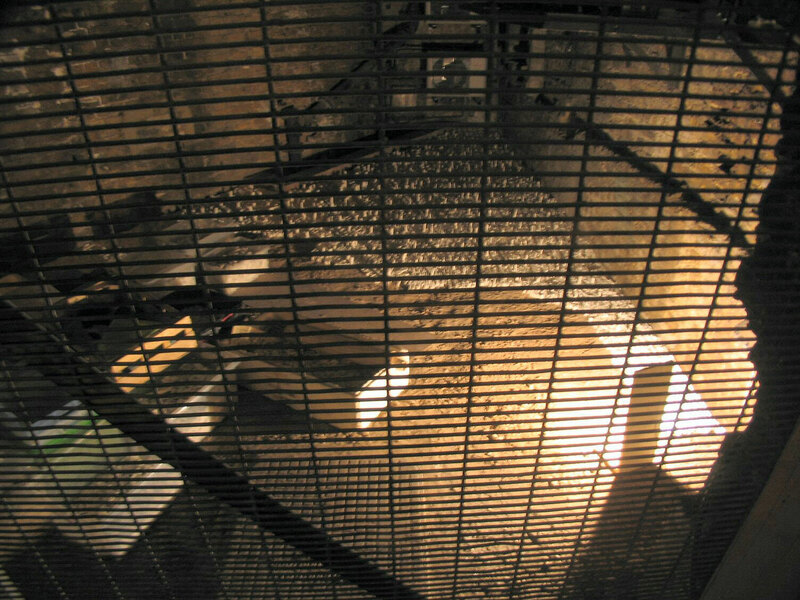 On the right is the caged niche. 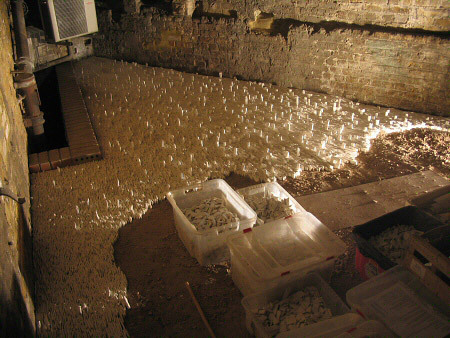 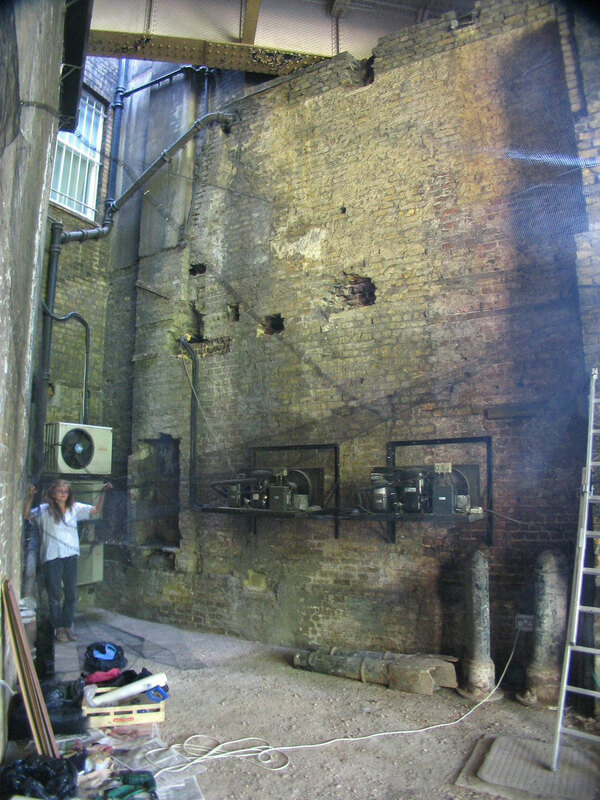 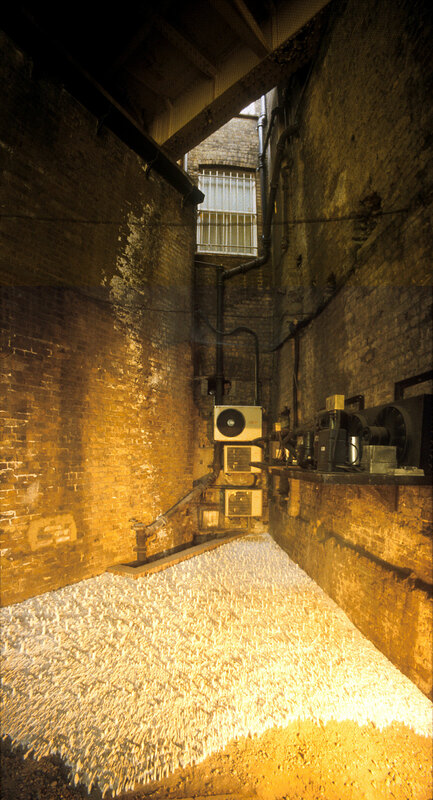 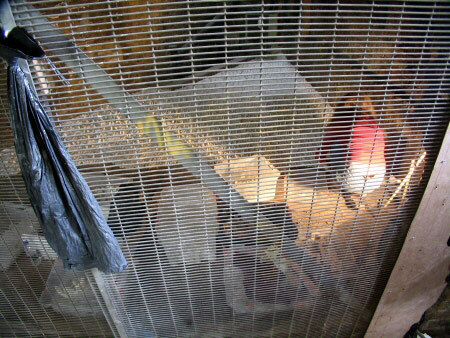 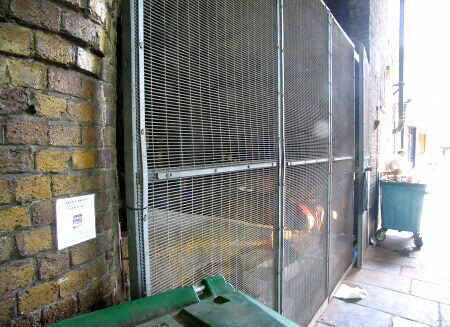 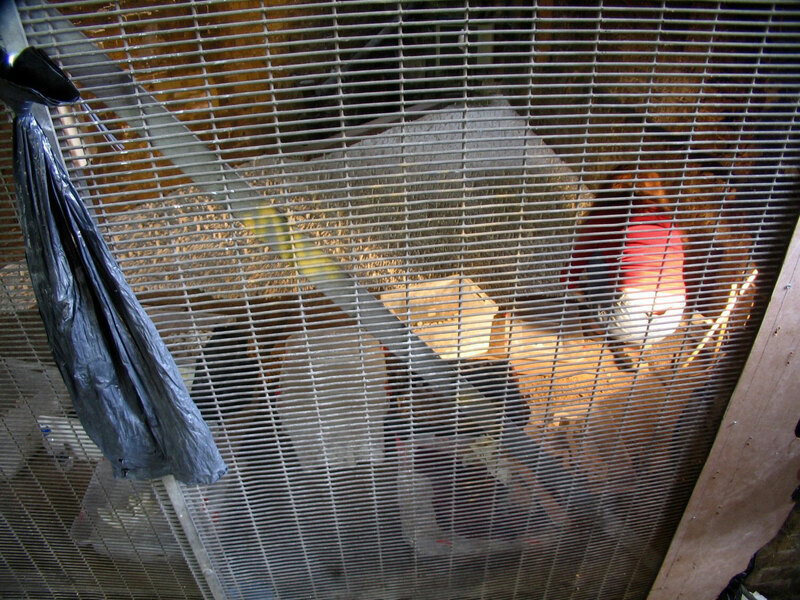 In Green Dragon Court: the caged niche is the proposed site of the installation. 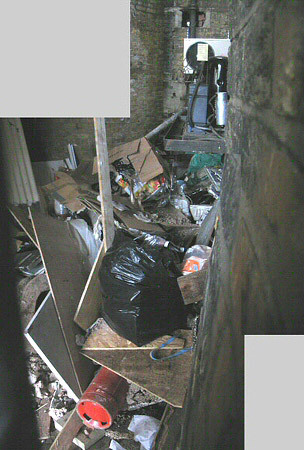 At this time it had been cleared of much of its rubbish [see next pic]. Inside the niche - at this time it was a rubbish dump, an unlicensed pissoir (accessed through its wire cage), a home of rats. 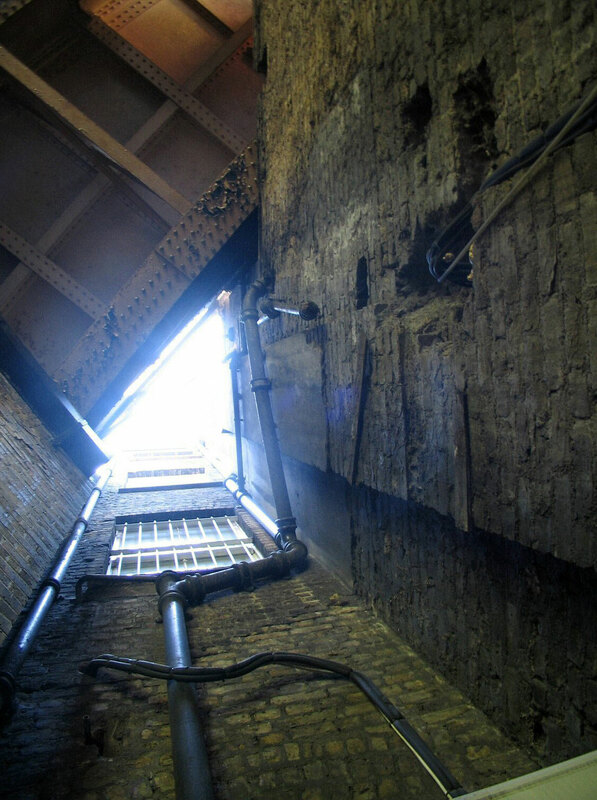 Inside the niche - view up the rear-facade of a Borough High Street shop. 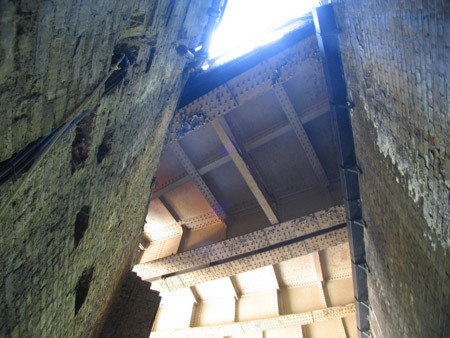 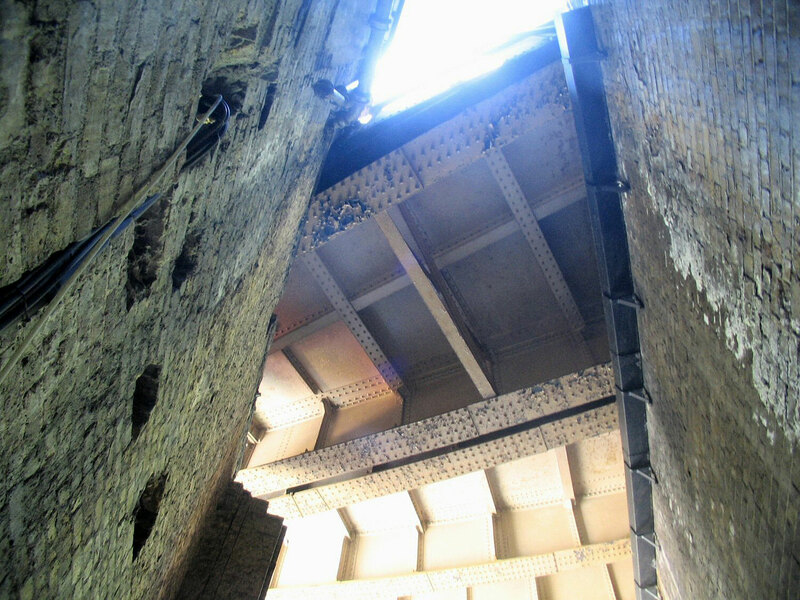 Inside the niche - view up the W wall (whose top is roughly cut for the rail-viaduct). Inside the niche - view out and up at the viaduct-ceiling of Green Dragon market. 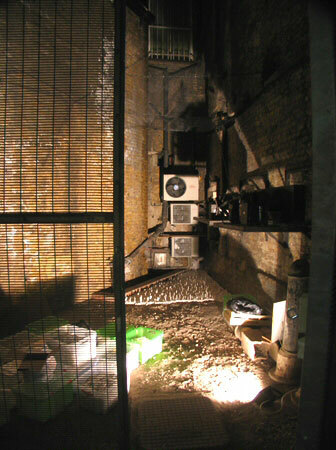 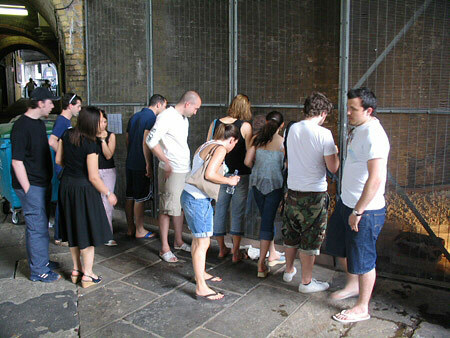 Inside the niche - view out into Dragon Court market. 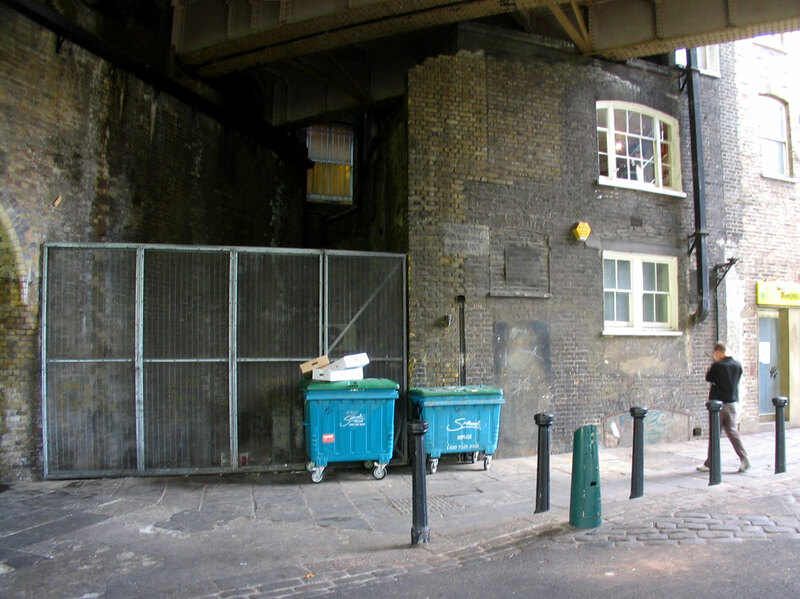 Behind the trees is Southwark Cathedral. 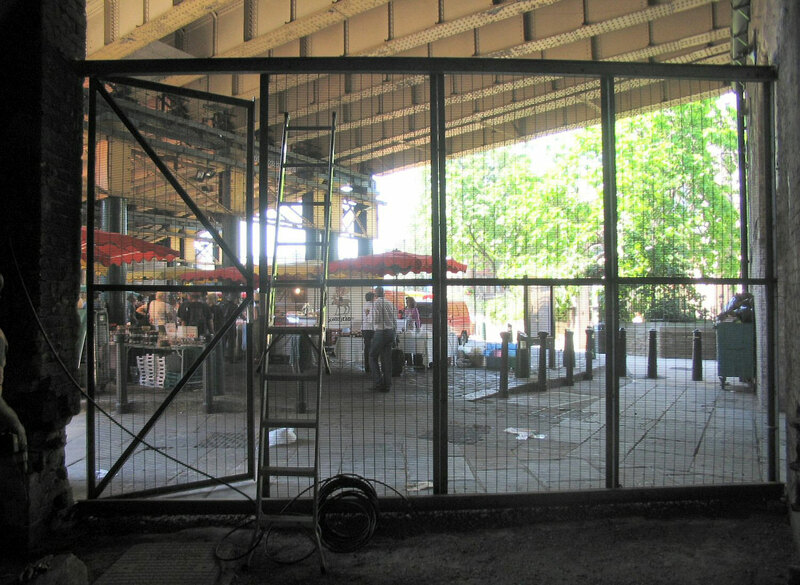 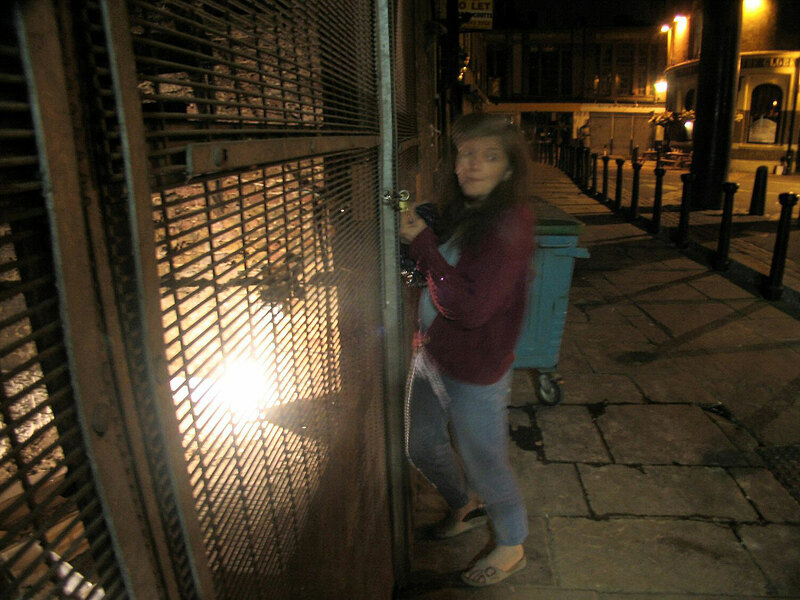 The caged niche opens onto the Green Dragon Market. 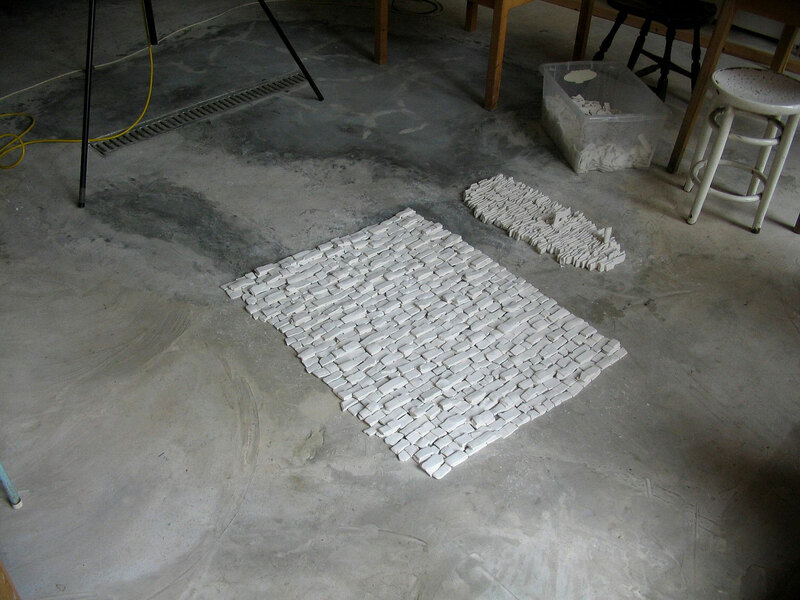 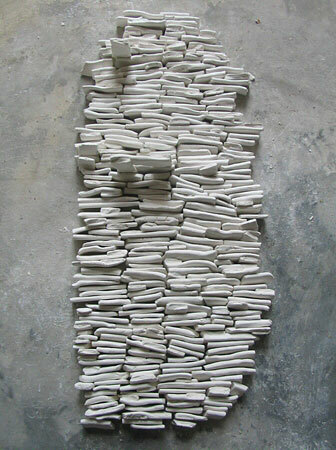 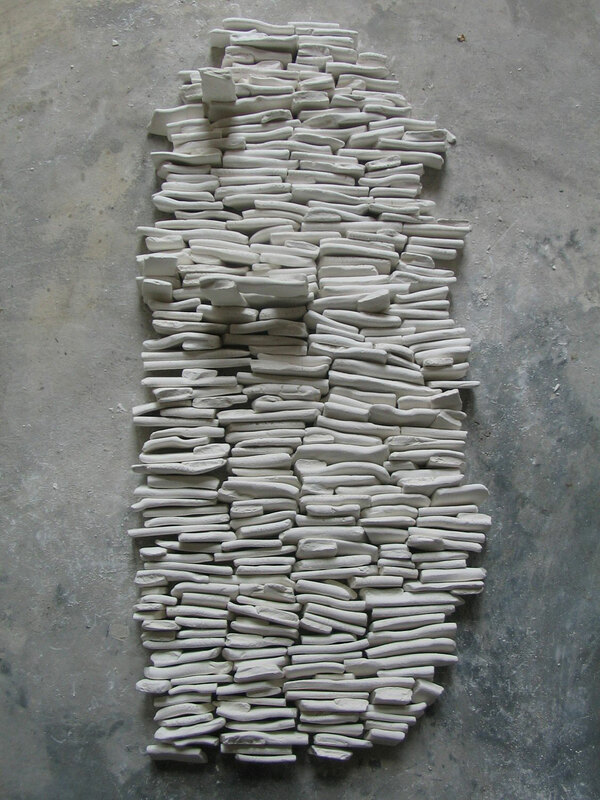 Angela decided to reuse material originally made for "Economist Carpet" [Ref: "ECONOMIST CARPET" p2], consisting of porcelain clay, rolled into ribbons and woven into 'nets' that 'randomly' cracked into fragments as they dried. 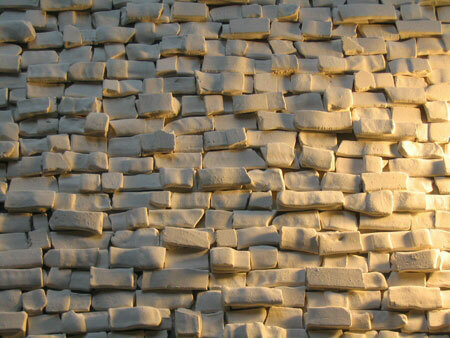 Via the vicissitudes of transportation and storage, additional cracking had simplified more of the fragments. 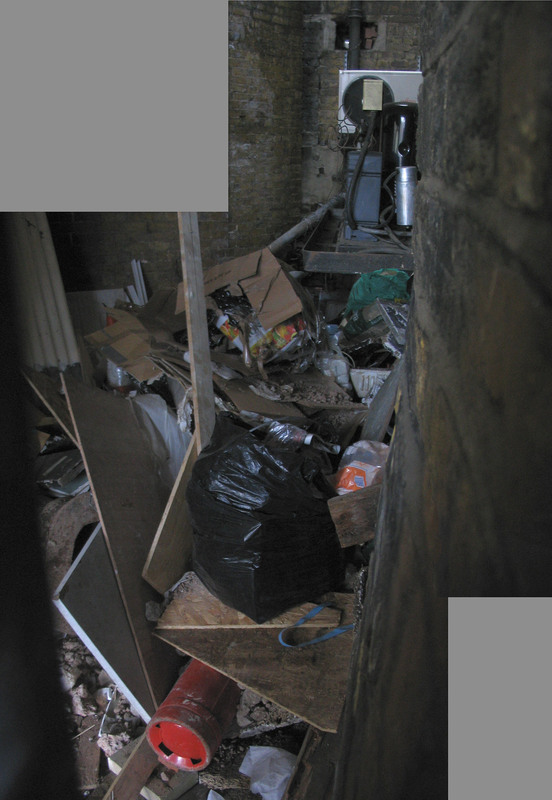 The niche has been cleared of most of its rubbish and become a work-space. 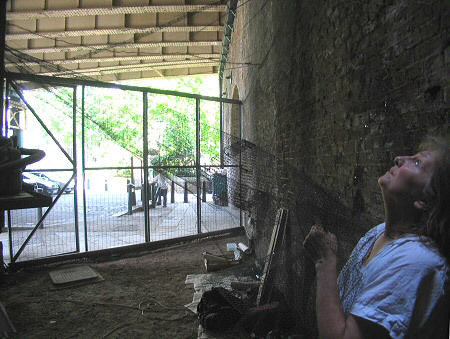 We are stretching a net over it, to catch tossed-in litter. 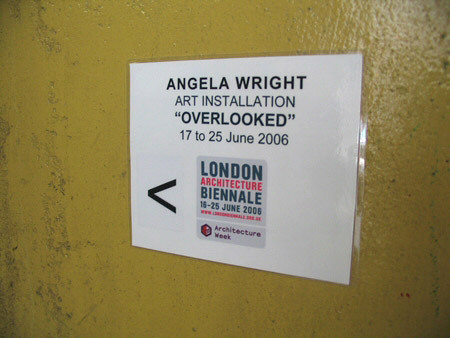 View into the work-space - near the start of Angela's installing. 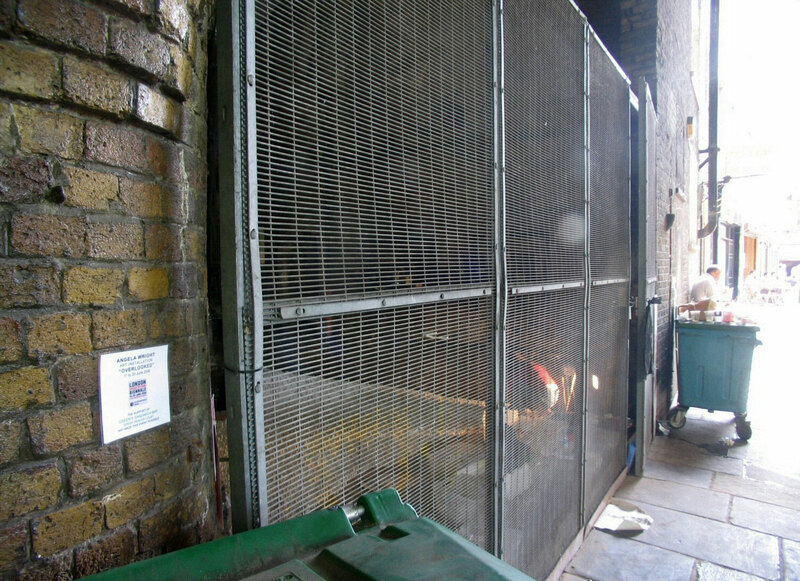 Notice to the installation - at the street entry of the Green Dragon Court tunnel.